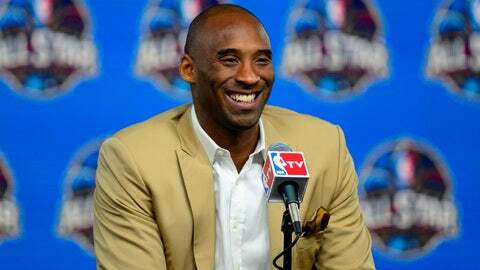 Kobe Bryant's contract with the Lakers expires after this season. Does that mean his time in Los Angeles will be up, too? The 2015-16 NBA season hasn’t even officially started, yet the speculation on the future of Los Angeles Lakers guard Kobe Bryant is already ramped up to full throttle. Bryant is in the final year of his current contract, and there are rumors that he’s considering hanging it up after this season — even though Bryant has said he hasn’t set anything in stone. And with such uncertainty surrounding one of the NBA’s all-time greats, everyone who’s ever been associated with Bryant is bound to be asked their opinion on his future. Rick Fox, who was a teammate of Bryant’s for three titles with the Lakers, took part in a roundtable discussing Bryant for the Los Angeles Daily News over the weekend, and he voiced a growing sentiment: Bryant probably won’t be done after this season, but that doesn’t mean he’ll be back with the Lakers in 2016-17. It’s a thought that former coach (and current Knicks executive) Phil Jackson has shared, although he was careful not to name teams, since he’d be open to tampering charges as a member of an opposing front office. Bryant would likely need to take a deal that’s below market value, but money shouldn’t be an object for the future Hall of Famer if he wants to change markets. Where the Knicks would come up short is in the hunt for a title. The combination of Carmelo Anthony and Bryant wouldn’t be enough to carry a team to championship contention. And if Bryant is going to leave the Lakers, one imagines it would be for a team that can realistically help him win his sixth ring.